Note: Google has recently cancelled Page Rank, that is why some information in this post may be out-of-date. Instead, we use a new system of links ranking – SB Rank, which is based on DA and PA index. 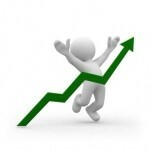 Any backlink from any webpage increases your website’s PR (except no-follow links). However, there is a HUGE difference between a passed PR weight from each web-page, depending on its PR and number of outbound links it has. The easiest way to increase your site’s Google PageRank is to buy links on those pages, which pass high Google PR Weight to your web page! 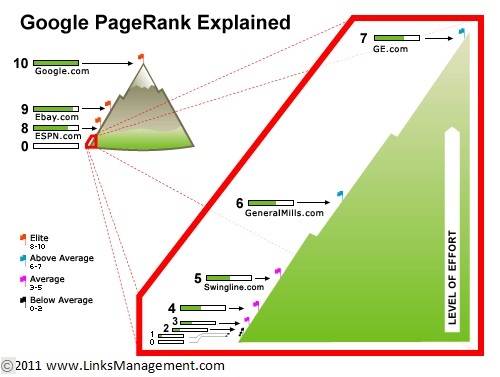 Passed PageRank Weight is Google PageRank weight, passed from the backlink page to your web page. This weight is calculated based on the Google PageRank Formula. For your convenience, we have provided below a simplified explanation of Google PageRank Formula / Algorithm. Each Google PageRank, which you see as a green bar in your Google Toolbar (which looks like this: ) has its own hidden weight, which is not shown in the toolbar. In the table below, you can see that each PR has 5 times more weight, than the previous PR. It means that, if you buy a backlink on Page A following to your Page B, then your page will get the following PR weight: PR weight of Page A / number of outbound links on Page A – 15% = weight, passed to your Page B — this is the formula! (Note: we didn’t invent this algorithm. 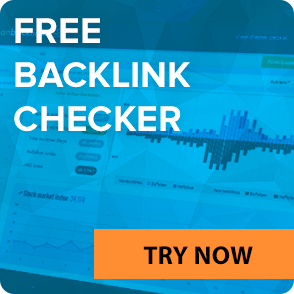 For example, if you buy a backlink on PR6 page with 25 outbound links, then your page will get the following PR weight according to the general page rank formula: 15,625 (weight of PR6 page) / 26 outbound links (25 existing links, plus your link will become 26th outbound link) – 15% = 510.82 passed PR weight. This weight will be added to your current page’s weight. If your page is PR0 (1 weight), then it will become PR3 in the next Google PR update. Why PR3? Link from PR6 page passed 510.82 weight to your page, and, if you take a look at the above table, you’ll see that to get PR4, you need to have 625 weight. Since your page has only 511.82 weight, it will get PR3. Now, let’s take a look at another example for you to see how important the number of outbound links is. For example, if you buy a backlink on PR6 page with only 1 outbound link, then your page will get the following PR weight: 15,625 (weight of PR6 page) / 2 (your link will become 2nd outbound link) – 15% = 6,640.62 weight. 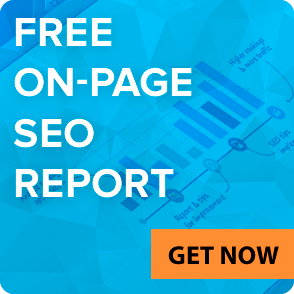 If your page is PR0, such backlink will increase your page PR to PR5 in the next Google PR update. 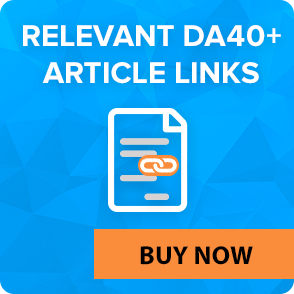 LinksManagement calculates PR weight of a backlink page and shows it to you in our Find & Buy Links Interface in the Passed PR Weight column. If you don’t have a LinksManagement account yet, you can sign up for free or find out more about our contextual link building service.